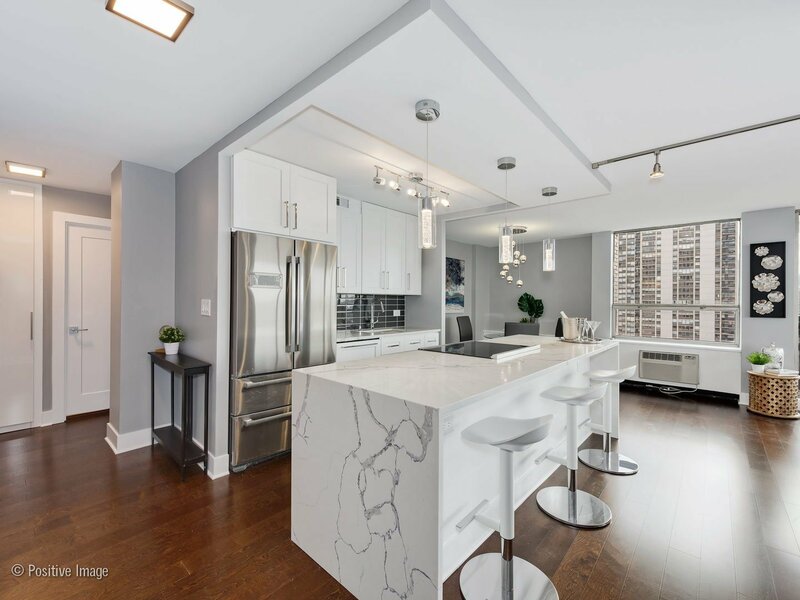 A very rare opportunity to own a brand new gut rehabbed corner 2 bedroom 2 bathroom unit in Sandburg Village -Old Town. 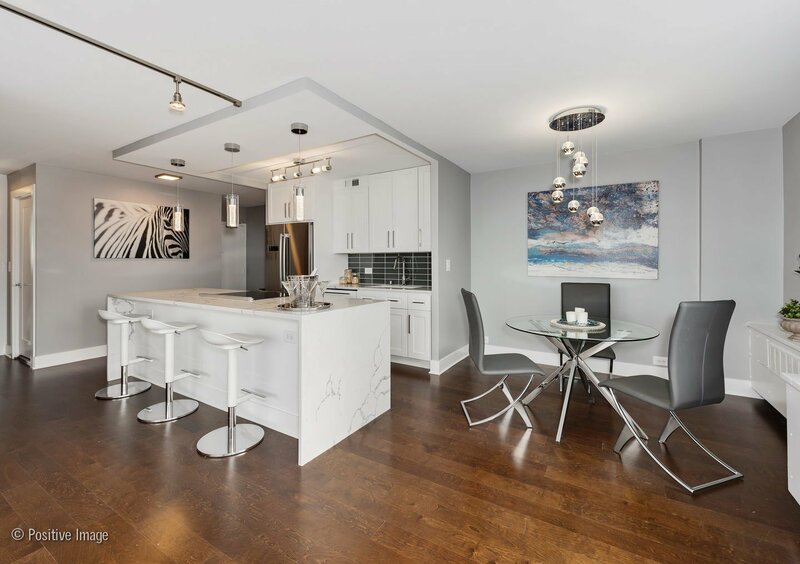 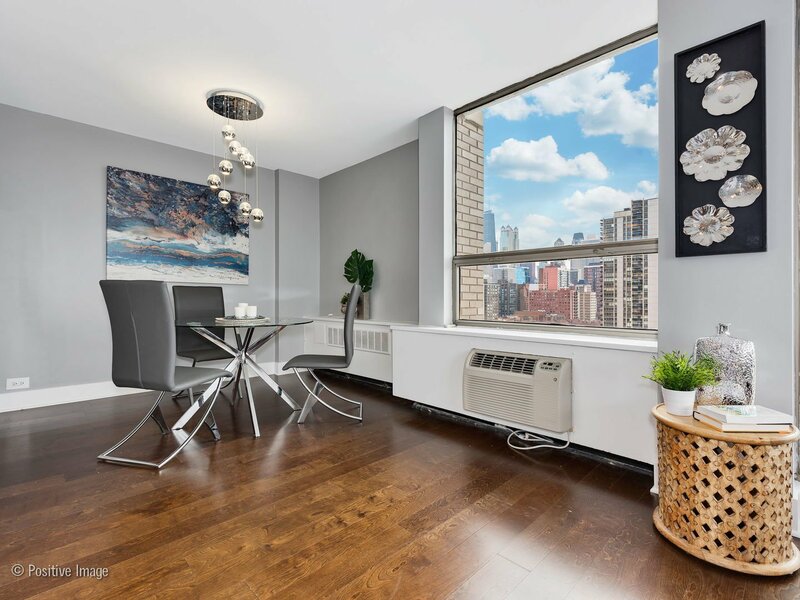 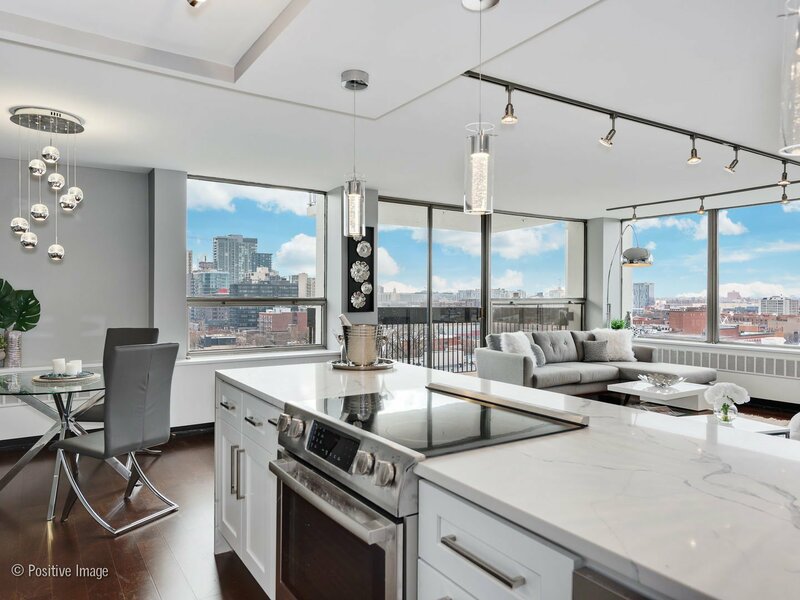 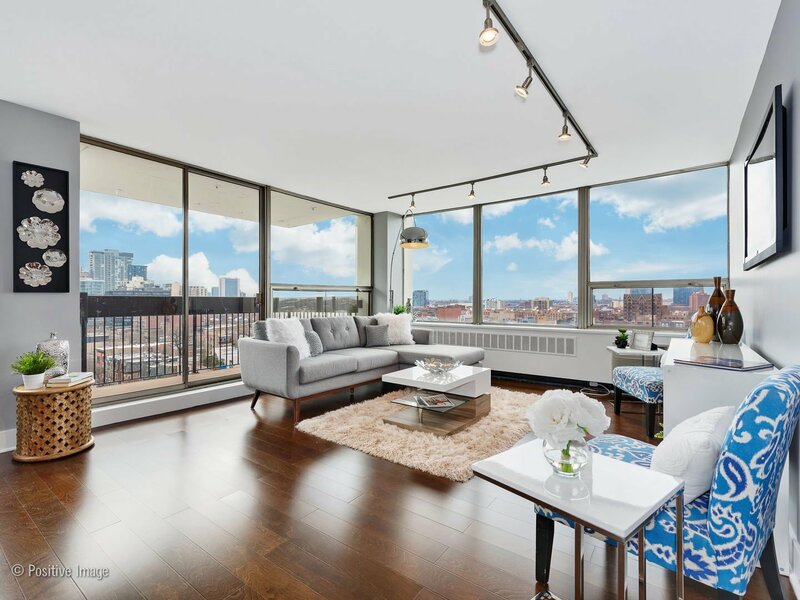 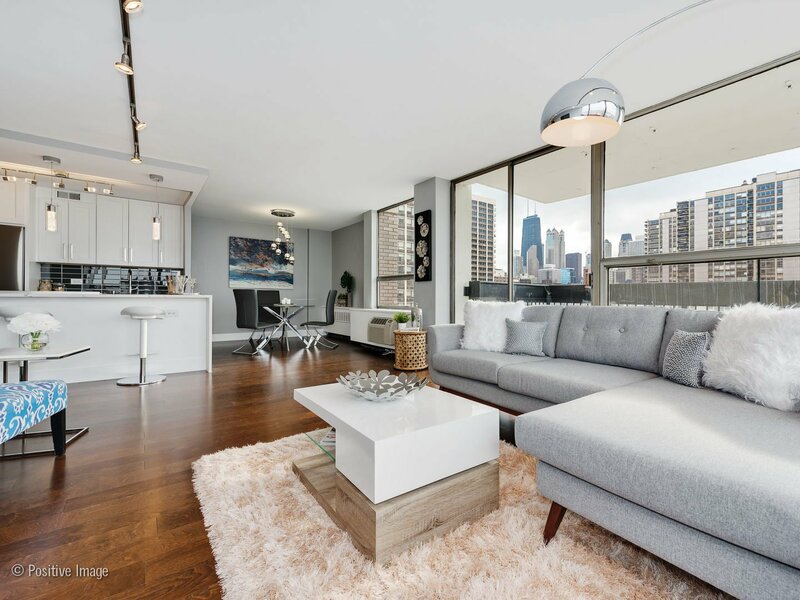 Be the first to live in this unit that has been meticulously gut rehabbed, enjoy the appeal of new construction with unbeatable location and views. 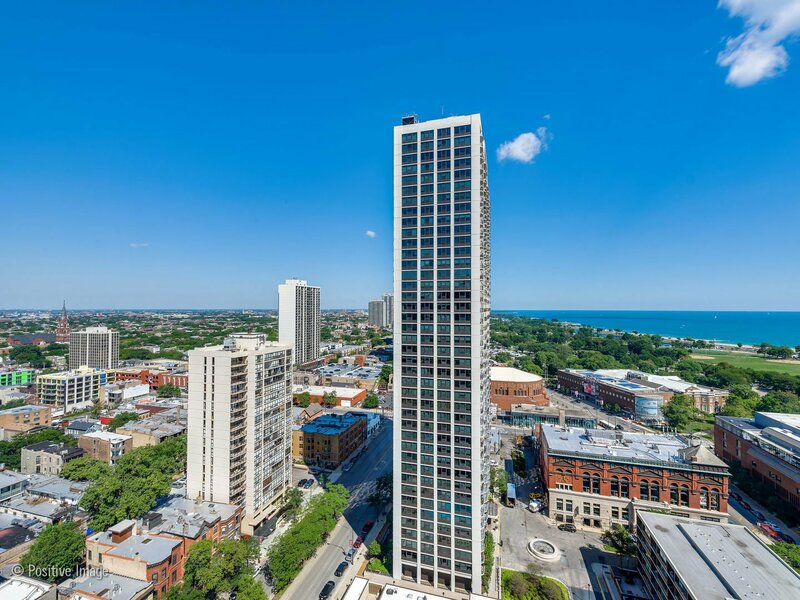 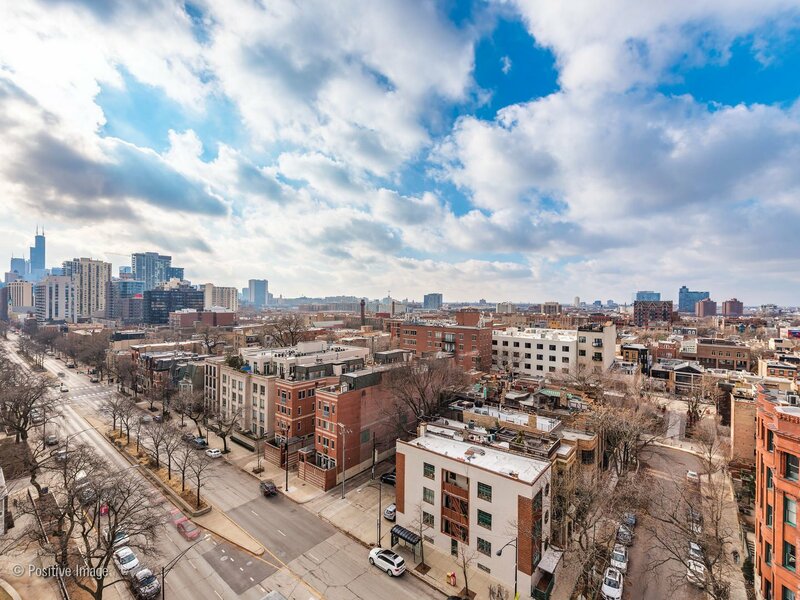 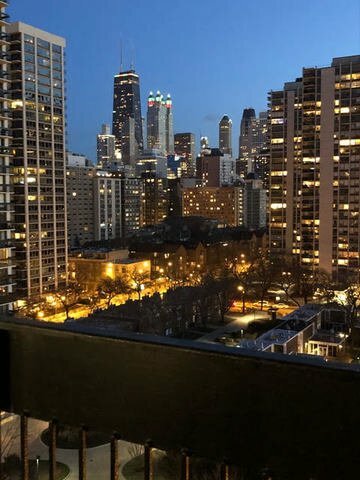 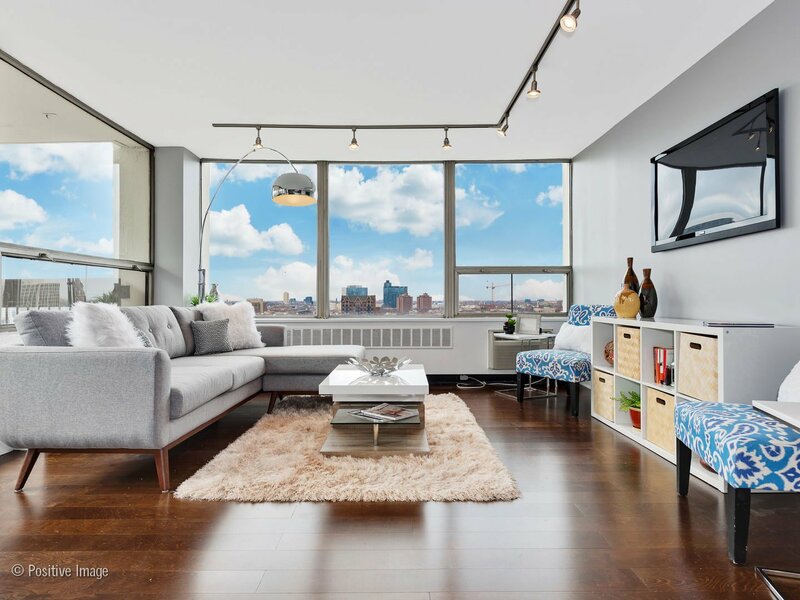 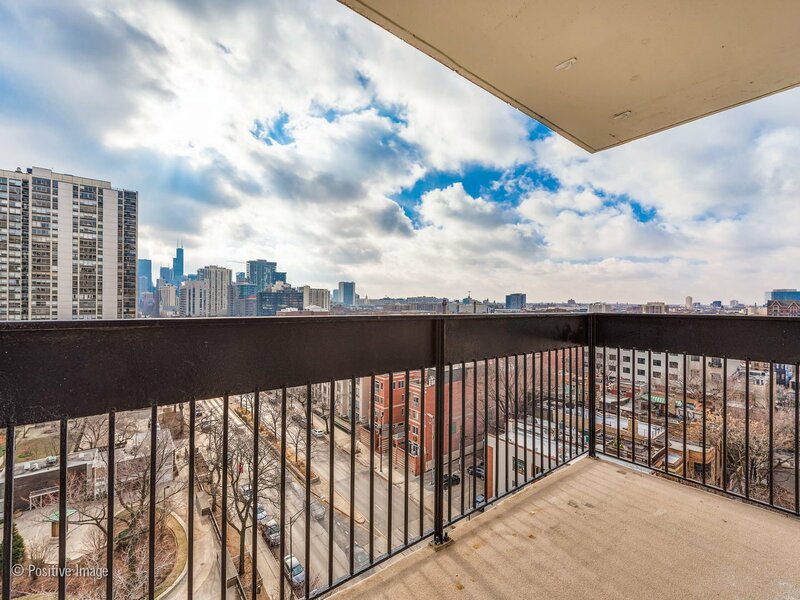 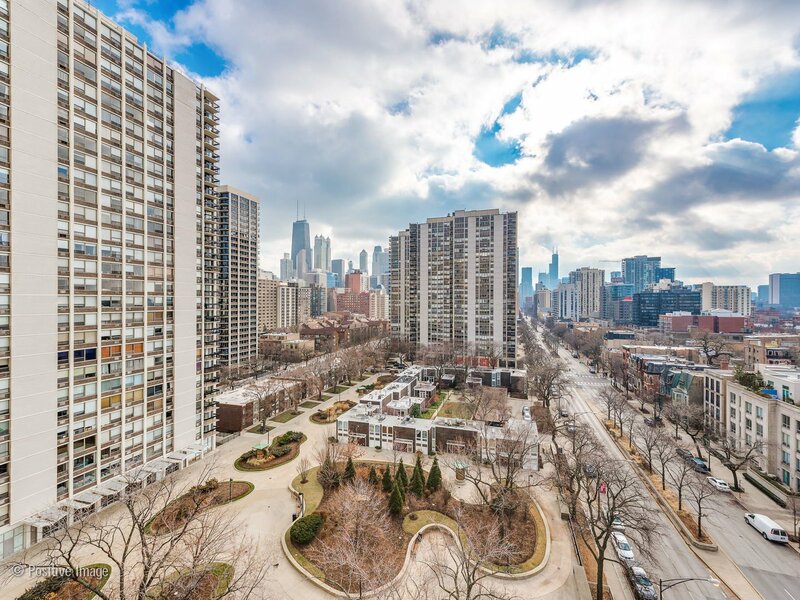 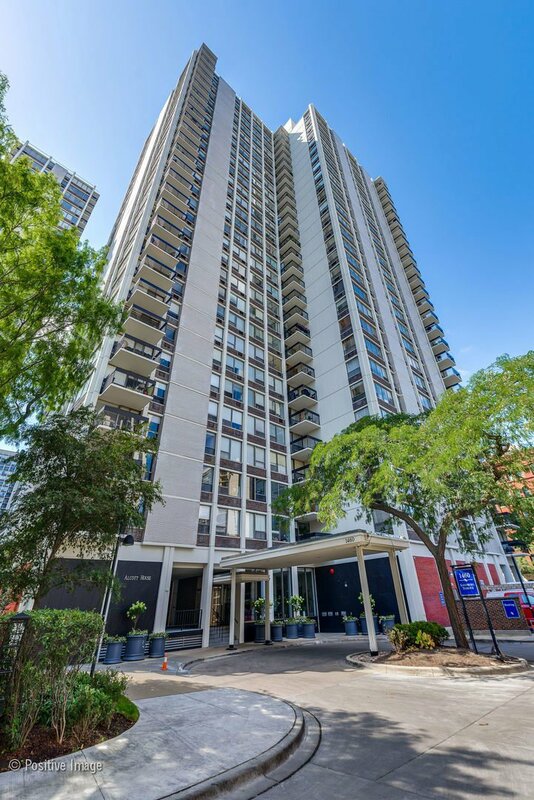 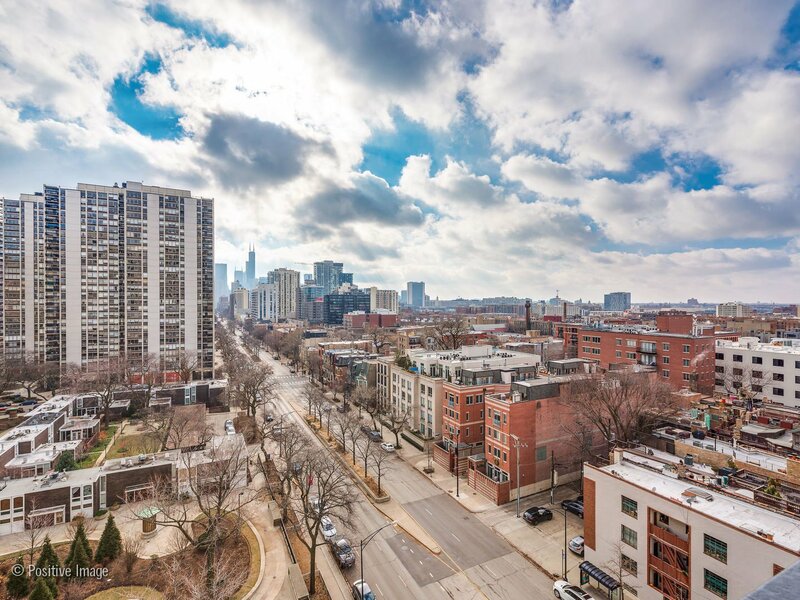 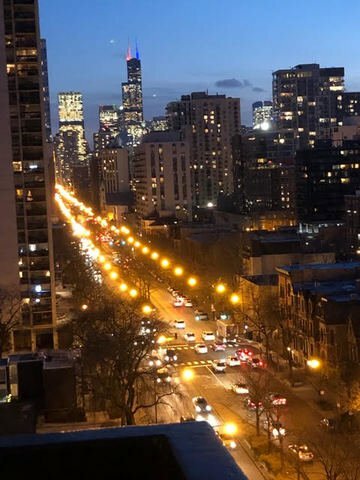 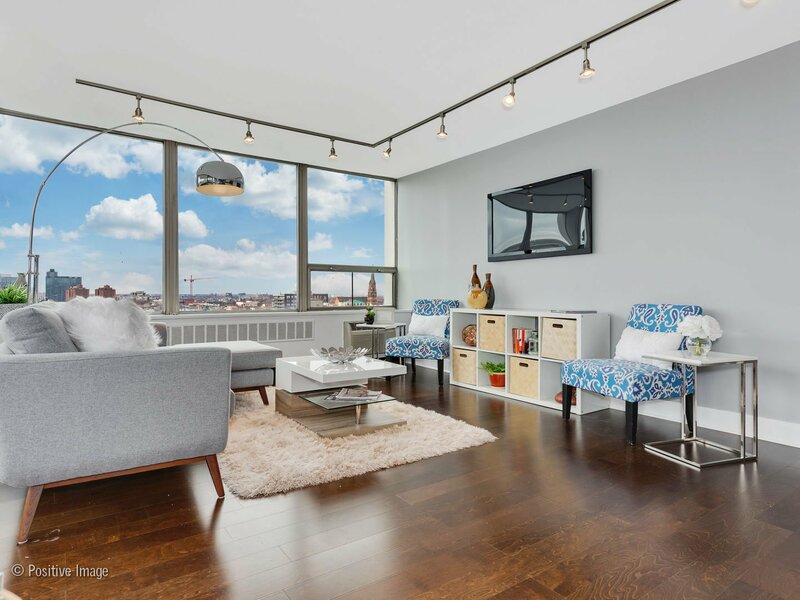 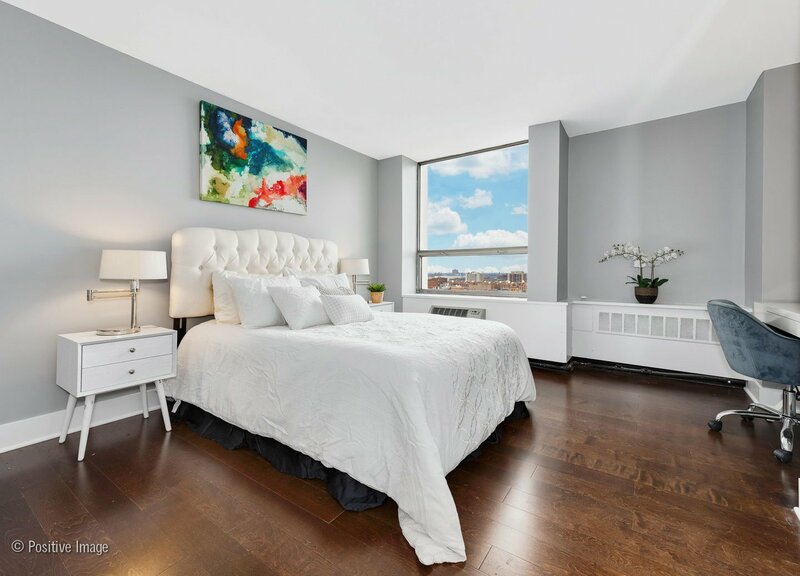 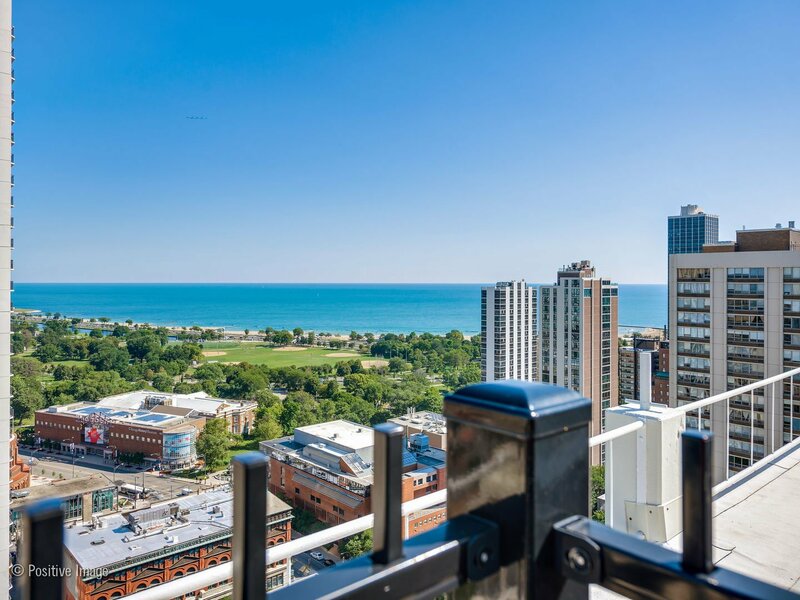 This 12 floor corner unit has wrap around windows with balcony that allows expansive open views to the south for skyline & the west for panoramic sunsets. 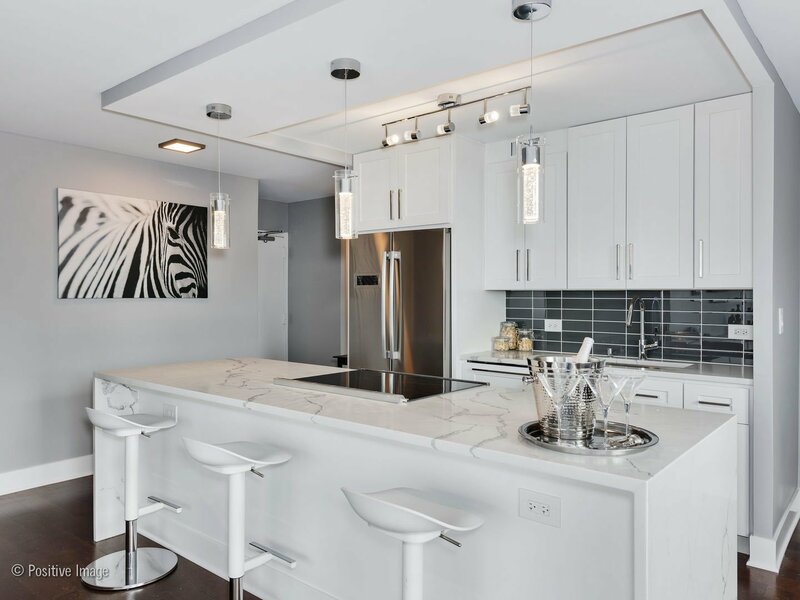 The unit is well appointed- Kitchen has custom white shaker cabinets, quartz counters & waterfall island. 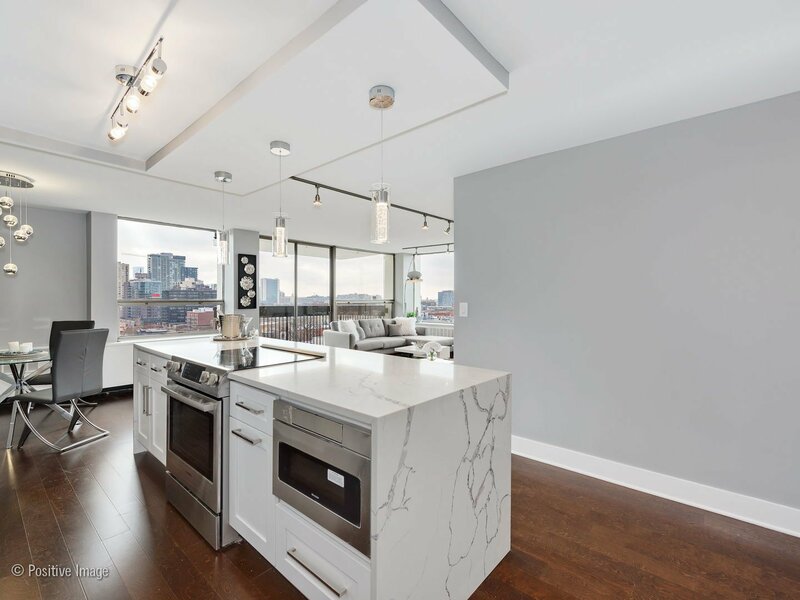 Bosch appliances including built-in dishwasher & counter depth refrigerator, Sharp microwave drawer. 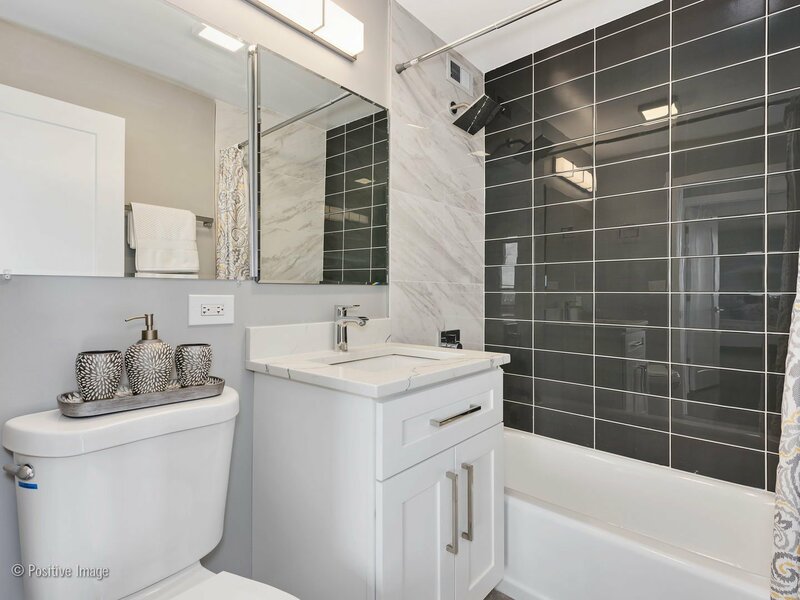 Bathrooms have Hansgrohe & Kohler fixtures, contemporary tiles. 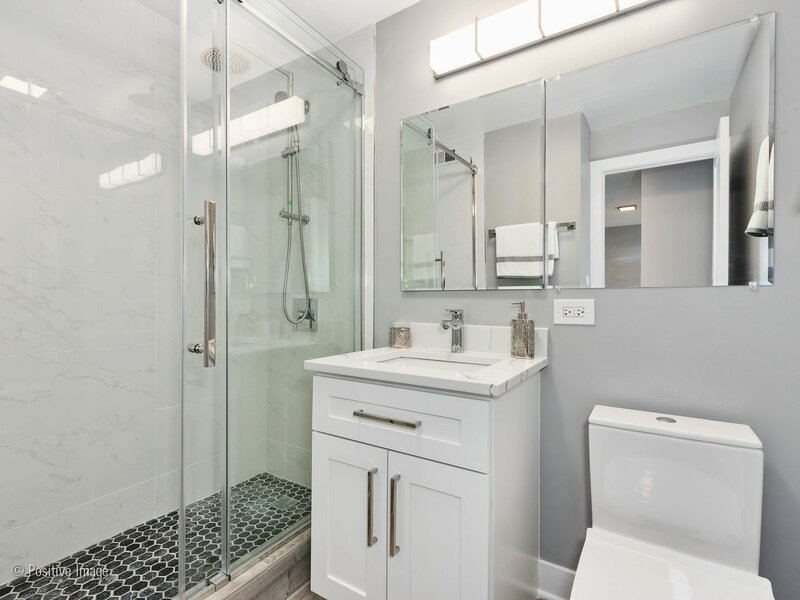 Master has large walk-in shower. 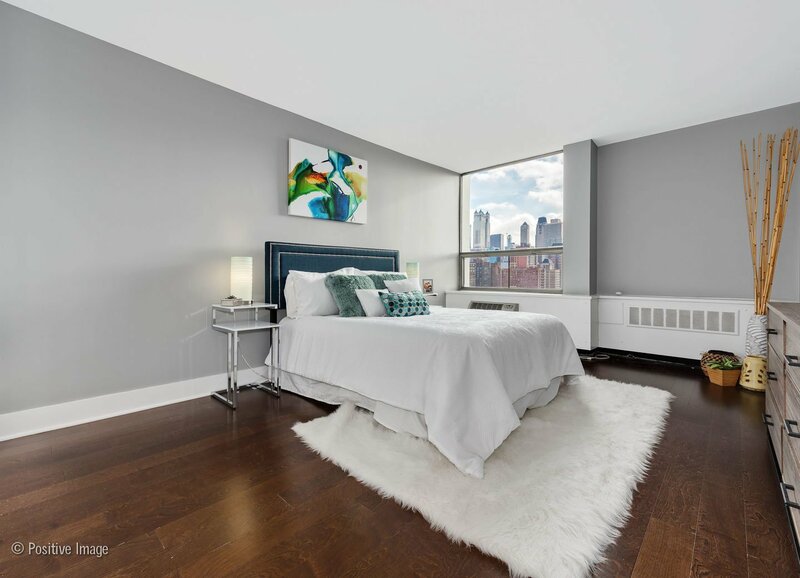 Solid hardwood floors throughout. 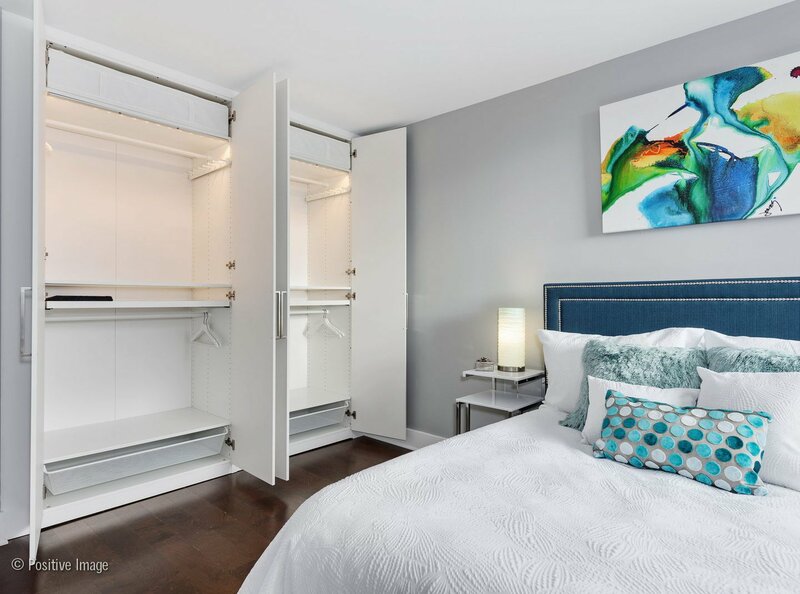 New electrics and plumbing. 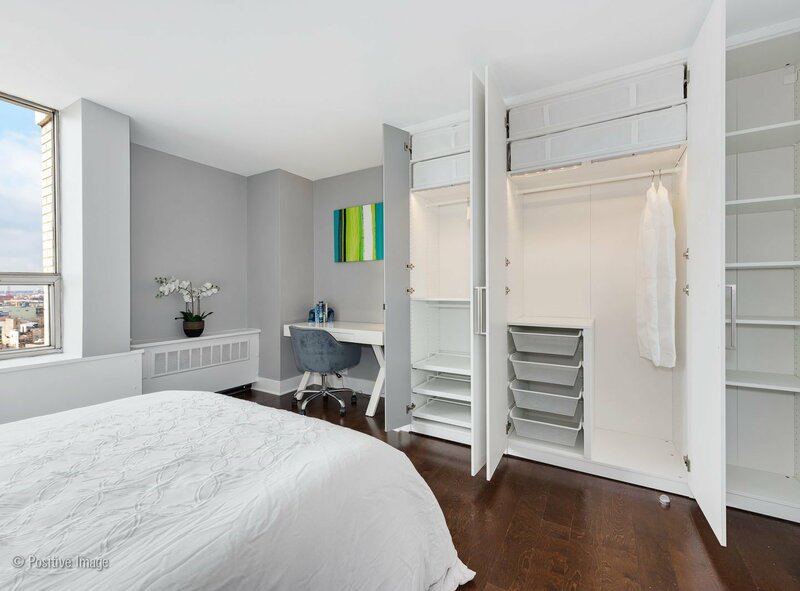 Professionally organized closets, designer lights. 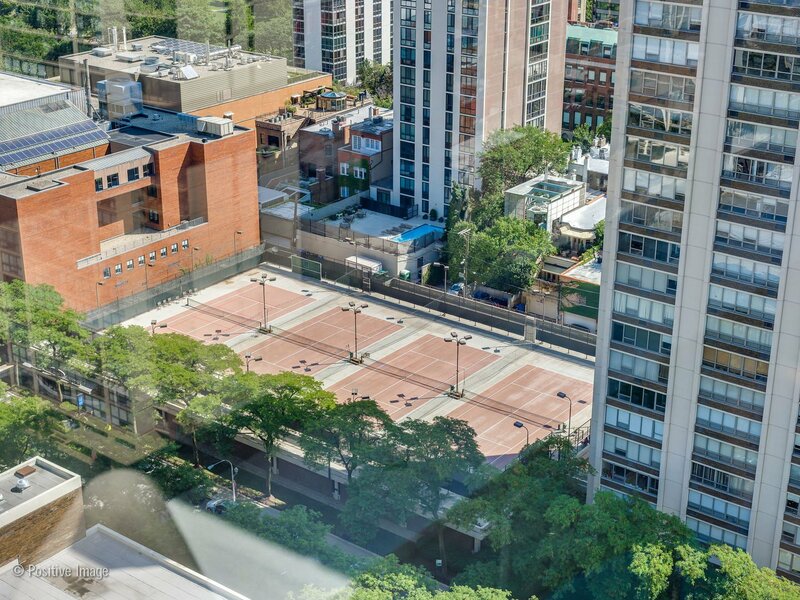 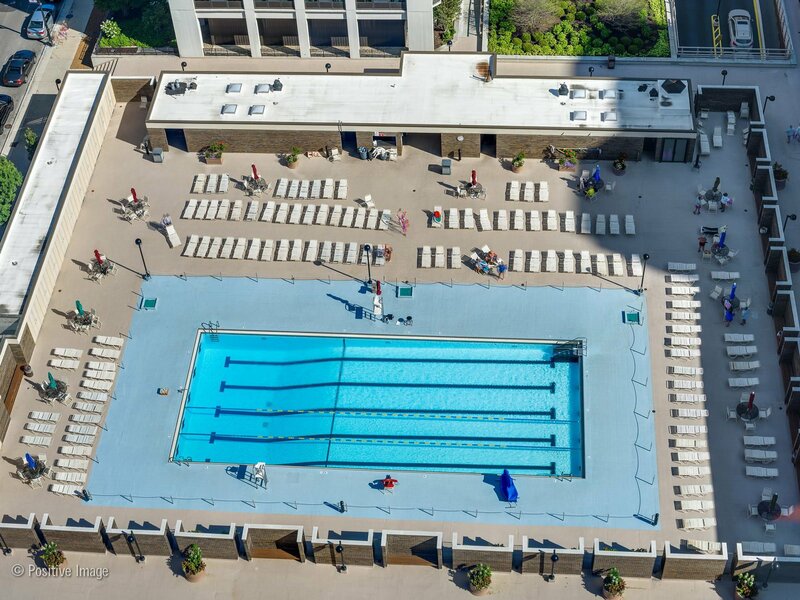 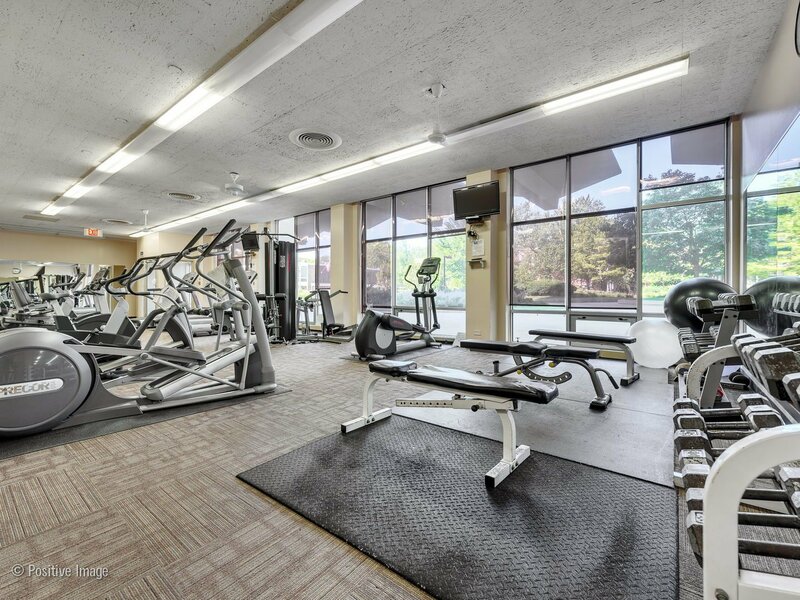 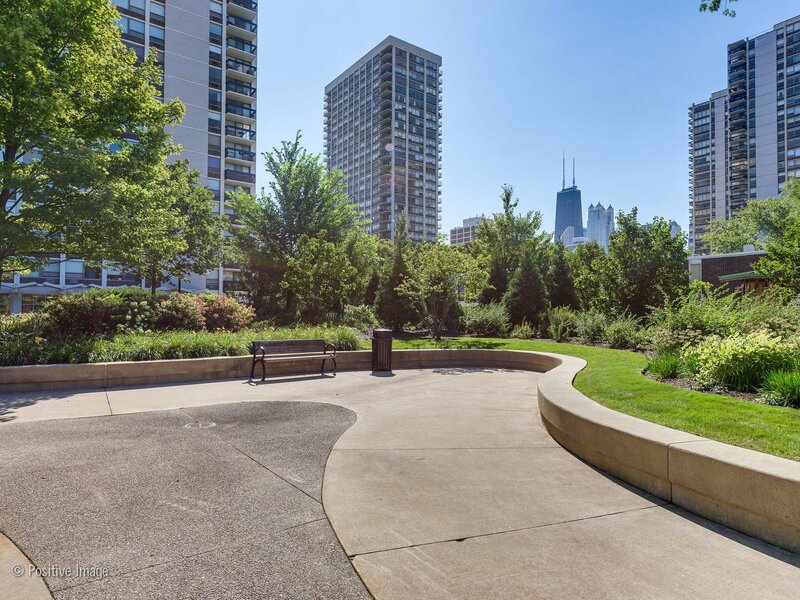 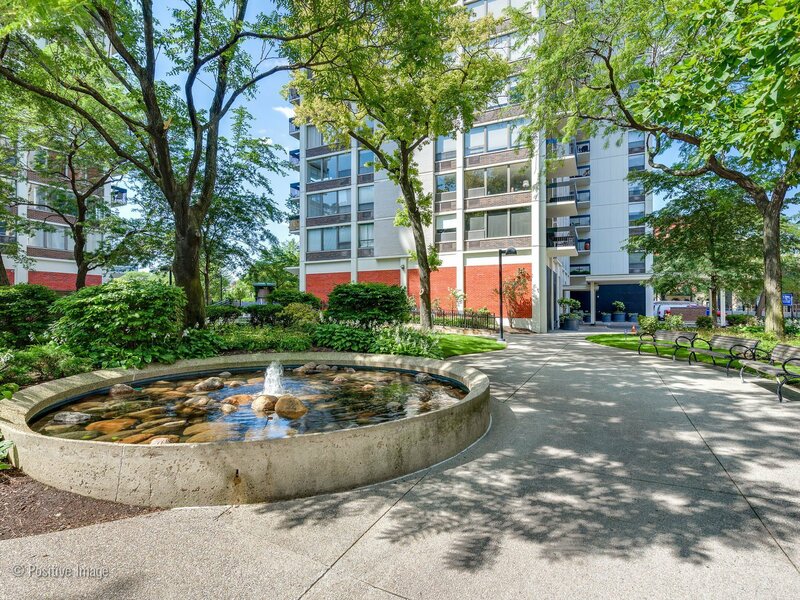 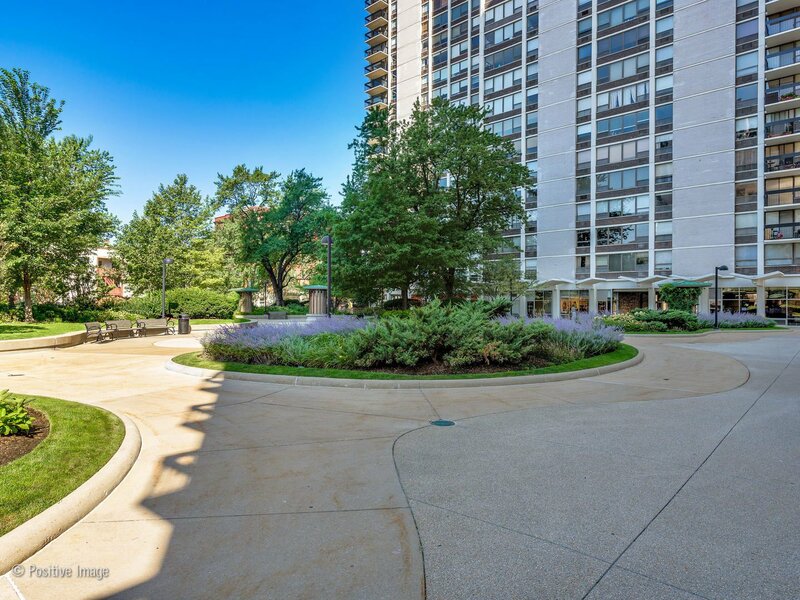 Great amenities, Sandburg village has outdoor swimming pool, tennis courts, gym. 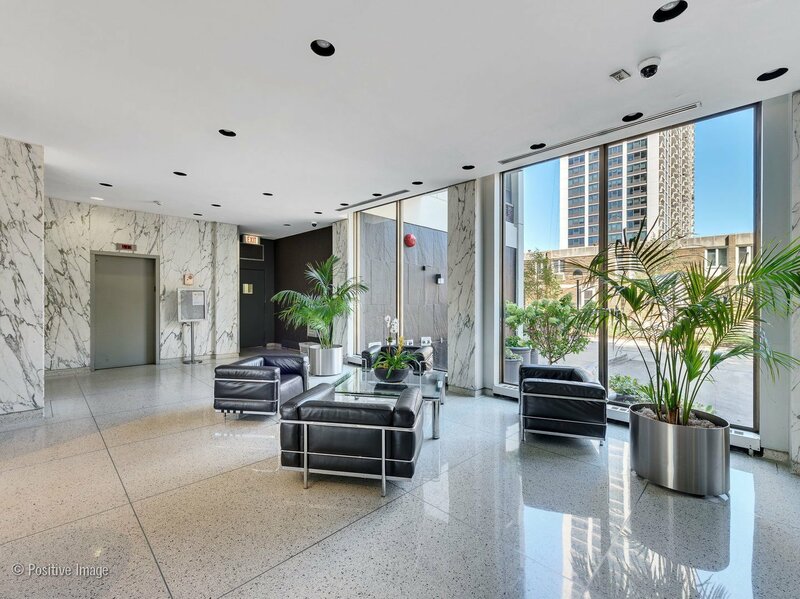 The building has 24hr doorman, rooftop deck, storage, bike room, valet parking.